This is a beautiful chair that is kind to your budget. 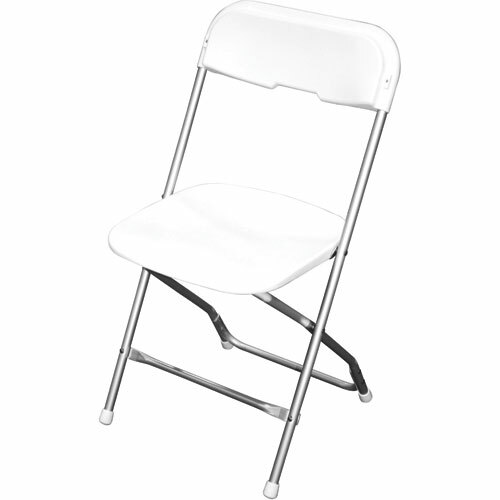 This folding chair has a white back and seat and an aluminum frame. 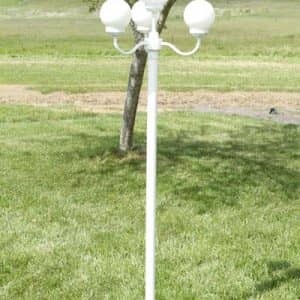 The aluminum frame makes this chair special because unlike a frame that is painted white, this frame is never touched up or scratched and rusty and does not show dirt.